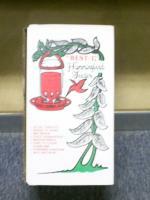 As you'll soon find out, this hummingbird feeder by Perky Pet isn't called the "Best" for nothing. This big hardened glass feeder can service hundreds of hummers, and is outfitted with efficiency-improving features like its six feeding stations and a continuous, full-circle perch. Your hummingbirds will love how easy it is to access their sweet treat, and the bright coloring of the feeder is sure to flag them down from afar. Unfortunately for them, this feeder does NOT take reservations! 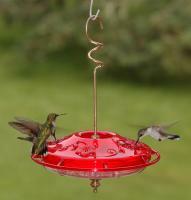 Works great and our ruby throated hummers enjoy using this feeder. Easy to clean and easy to fill. We have never had a problem with this feeder. We do however replace the whole unit after about 5 years due to being out in the sunlight. 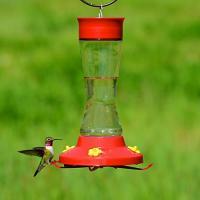 You have great service, great response, and the feeder works quite well! 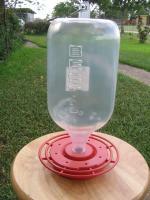 I would like to contact the person who has a lot of the plastic bases for this feeder. I have been using this feeder for 20 years and have never broken the glass part. The plastic base weathers and cracks, but it is still the best one there is. This is the second one I have purchased and I love it almost as much as the hummingbirds do. A Satisfied customer! I have used them for years. I like it better than any other. I have about 70-80 hummers in August. I have seen them with 3 birds in each hole on several feeders! They are amazing! Thank you for making such a good product! This is a feeder the birds really like! It holds allot, and has six feeding stations. It all so has a continuous perch. I wish that I could only buy the glass part of the feeder,which is what breaks. I have about 14 good bottoms that I don't know what to do with. I love this feeder! And so do my 20 + hummers that visit daily. It one of the best feeders that I have ever owned!!!!! I have been using Perky Pet feeders for over ten years. 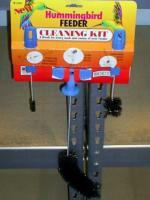 I have found them to be easy to fill and to clean. The hummingbirds love them and, if you remove the bee guards, the orioles will use them too. These are simple, easy feeders to use and enjoy. You shipped them promptly and they arrived in perfect condition. This is a great product and one of the last glass feeders available. This one replaced one exactly like it that lasted 10 years! I ordered this feeder to match two feeders that I have. They are great, a good size, and easy clean out and fill! The perch provided is a must! The only objection, the perch is fragile. My older two feeders have been glued/wired/cable tied to keep perch in place. The product is great. I already own one and have had it for many years. It was beginning to break down, so I needed a new one.